Entertain a casual, yet refined sense of style with the Serramonte 69 Inch Entertainment Console. 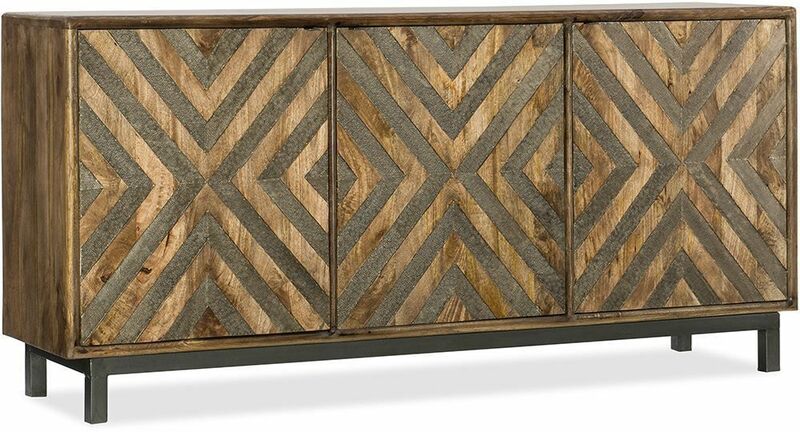 This piece is made with mango wood and showcases a medium wood finish with metal chevron inlay on the front. Dark pewter European pulls beautifully complete the look. Delightful to the touch and easy on the eyes, this hand-crafted entertainment console exudes a striking ambiance to enhance your entertainment experience. Stow away your video and audio essentials behind the doors where you will find three removable shelves. 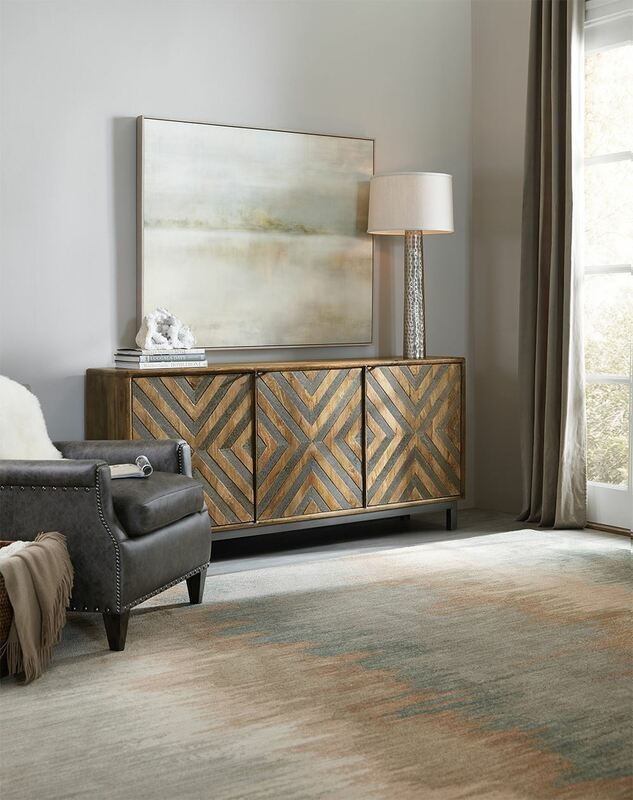 Entertain a casual, yet refined sense of style with the Serramonte 69 Inch Entertainment Console. Mango wood, metal and German silver. Three doors, three removable shelves, ventilated back panel, levelers.